Where will be the Runway Fashion Festival 2018? 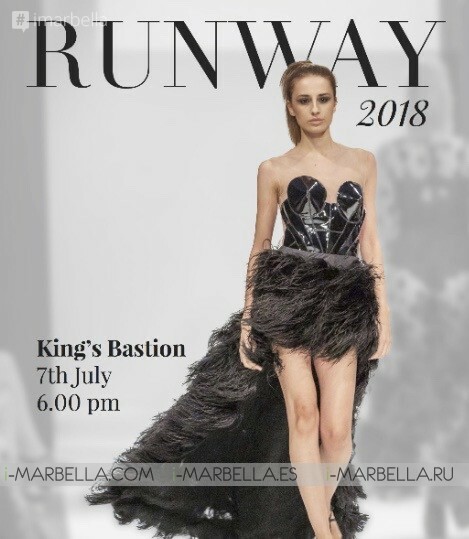 The Runway Fashion Festival 2018 is back and now in its fifth year in Gibraltar. The official schedule will be on Saturday, 7th July at King’s Bastion. Doors open at 6 pm. The Fashion show will count with three international designers, a singer/songwriter from London, the popular New Designer Competition and two local shows; including a wearable arts show put together by the Gibraltar Youth Service. The 2018 edition promises to have a place for everyone!. 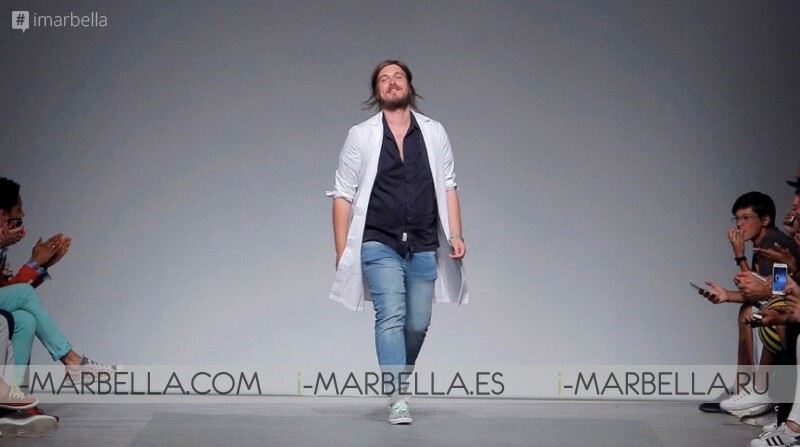 Based on the same set up as an international fashion week, Runway works by bringing new, innovative designers to Gibraltar as well as putting local designers on display, often for the very first time in their career. 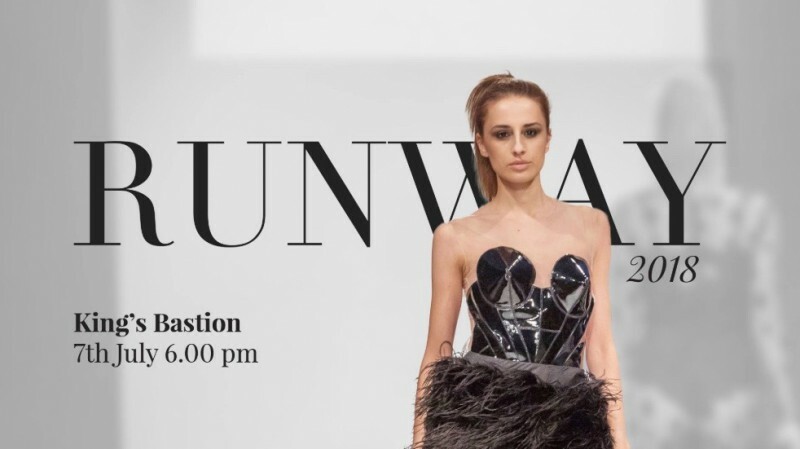 After having a hiatus year in 2017, Runway has moved to be a bi-annual event, cemented in Gibraltar summer festival season. While the format has been slightly tweaked, the festival remains a culmination of local and international designers, models, crew, and production. As always, with a huge focus on allowing the local fashion community to work alongside the internationals who exclusively fly in for the weekend. Doors will open at 6 pm to allow guests to come in, get their photos taken on our red carpet, grab a drink from the bar and have time to find the perfect seat in the tiered seating catwalk area. As with previous years, the New Designer Competition is the first show up on the catwalk with this year’s entrants Kerry Cervan, Lisa Cronin and Tyan Borrell who will be vying to win the coveted winning title. This year’s winner will be going to London to work alongside established designers to learn all of the tricks of the trade in a professional setting and get a day’s photoshoot of their collections shot on location in the British capital. Keeping in line with a focus on young, local talent, the next show will be a Runway debut! Produced entirely by the Gibraltar Youth Service, Runway will be showcasing a wearable art show for the very first time. Wearable arts is a very unique and popular way of displaying art on. The catwalk and has been a winner all over the world and at many fashion weeks and festivals internationally. Now we get to see what the youth of Gibraltar hold in their imagination with a full catwalk show sure to impress! Fresh from her win as Runway NDC (New Designer Competition) winner in 2016 and her London Fashion Week debut in 2017, Gail Howard is back on the Runway catwalk with a new collection exclusive to the festival and never seen before in Gibraltar. Gail has grown from strength to strength in her design ability and her loyal fan base will be at the edge of their seats to see her newest creations. international shows and will play host to one of the UK’s most promising singer/songwriters performing in the lounge during the break. and a Golden Globe for Alien vs Predator & Pride, plus his BAFTA-nominated Sky Atlantic series Fortitude starring Michael Gambon, Blair Jollands will be in the Runway Lounge during our dinner break! He has worked with Madonna and Rihanna, jammed with Grace Jones and James 'Sparks' Sinclair (Johnny Cash), and collaborated with Gordon Raphael (TheStrokes). Having won the admiration of both David Bowie & Boy George (who released Blair's previous material under the name El Hula), Blair’s music communicates a paradoxical mix of melancholia and optimism that draws the listener in. 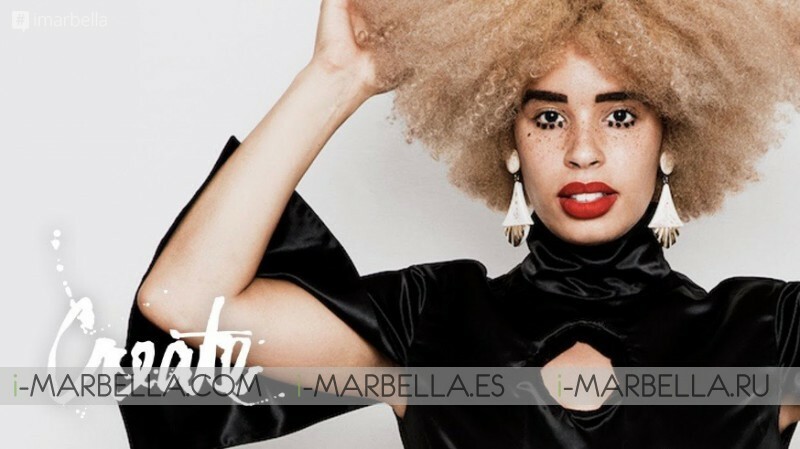 Often compared vocally to Nick Cave, Rufus Wainwright & ScottWalker, Blair has received much praise from the likes of international magazines NME, Guardian, Uncut, Artrocker and more. Recently returning from a tour of South America and a collaboration with Brazilian group Pato Fu, this will be his first and exclusive live show in Gibraltar. Following a dinner and drinks break in the lounge, Runway’s first international show will be Portuguese men and womenswear designer, Ricardo Andrez. Hailing from such catwalks as Paris, London, Barcelona and Madrid Fashion Weeks, Ricardo’s style is contemporary, chic and incredibly funky! With a unique take on sporty streetwear style, the Ricardo Andrez collection will be one of the most innovative we have had on the Runway catwalk. This is Ricardo’s first visit to Gibraltar and after seeing this collection, we are pretty certain it won’t be his last. The next international to show this year is returning favorite, Sadie Clayton. Sadie showed her Copper Girl collection to the amazement of the Gibraltarian audience in 2015. Her designs stood out as a highlight on our Runway calendar and for this reason, she is back this year - not only to show her incredible new collection but also to be the main judge for the New Designer Competition! Sadie will be wowing the audience again with a twisted take on her wearable art and her inspirational attention to detail. For Runway 2018’s grand finale, we will be hosting Maltese design duo Charles and Ron for the very first time in Gibraltar. Fresh off the catwalks at Los Angeles and New York Fashion Weeks, Charles and Ron have seen an incredible surge of popularity over the past year. Not only were they invited to display a piece in Buckingham Palace this year (hosted by Naomi Campbell and Anna Wintour!) but they have also been dressing some of the biggest celebrities on the planet! Jessie J., Kelly Rowland, Ally Brooke ( Fifth Harmony), Nicole Williams (Wags), Michelle Williams (Destiny’s Child) singer Ashanti, Game of Thrones actress Nathalie Emmanuel and Orange Is The New Black’s Jessica Pimentel have all been spotted on the red carpet wearing this elegant Mediterranean label. Our final close out this year will include the announcement of the New Designer Competition winner at approximately 22.45 and a speech thanking the sponsors and crew. The official media night will be held at The Sunborn on Friday, 6th July for face to face interviews. Invites will be sent out at a later date. Runway Fashion Festival 2018 will be held on Saturday, 7th July at King’s Bastion. Doors open at 6 pm. General seating.